This morning at breakfast I heard a distinct, lazy buzz, and a tap, tap, tap on the door. My mum said it was the leaky kitchen sink, but I was convinced there was a bee somewhere in the house. After looking in all the rooms, I noticed that the sound was coming more loudly from outside the front door. I opened it. There on the front porch, hovering at waist height, was a large, rather fat bumblebee. ‘Maybe he’s a messenger,’ said my mum. In the tales from ancient India that I grew up with, postmen come in all shapes, including green parrots, clouds, and – yes – bumblebees. He seemed unsure, wavering in his flight a little and staying on the porch. Then he tentatively flew inside, looked around a bit, and went back to the porch. I asked him a few more questions, which he declined to answer, but he seemed intent on something, as he didn’t move from the spot on the porch for at least thirty minutes. When I drove away, he was still hovering outside the front door. Perhaps it’s the blooming of spring, but I noticed bees throughout the rest of the day. I met another on a walk in the fields, and yet another, lying on the ground, breathing his last, weakly waving his tiny legs. I sat and chanted prayers with him for a while – it must be nice for anyone to know they are not alone when they are about to leave their body. I love bees. I don’t know what it is – I’ve always been fascinated by them. From a young age I’ve wanted to learn beekeeping, and been mesmerised by their process of gathering pollen and creating honey. The rest of my non-bee related day was spent in day 1 of a 50 Hour Kirtan held at the country estate of Bhaktivedanta Manor. The four day kirtan extravaganza commemorates the 50th anniversary of the International Society for Krishna Consciousness (ISKCON). The festival has been organised fully by young people who grew up in the community and have a great attachment for singing kirtan. Still, many have come from further afield – today we counted many from Italy, Croatia and as far as …South Norwood (Google it)! One man of Japanese descent really impressed me. He came all the way from North Carolina, USA, just to take part for four days. I asked my friend about him, and she said he travels anywhere where kirtan is taking place. I observed him sitting humbly at the back today – smiling with joy, and practically drinking in the sound. He filmed the whole day, unassumingly sitting behind his camcorder, eyes closed in meditation. 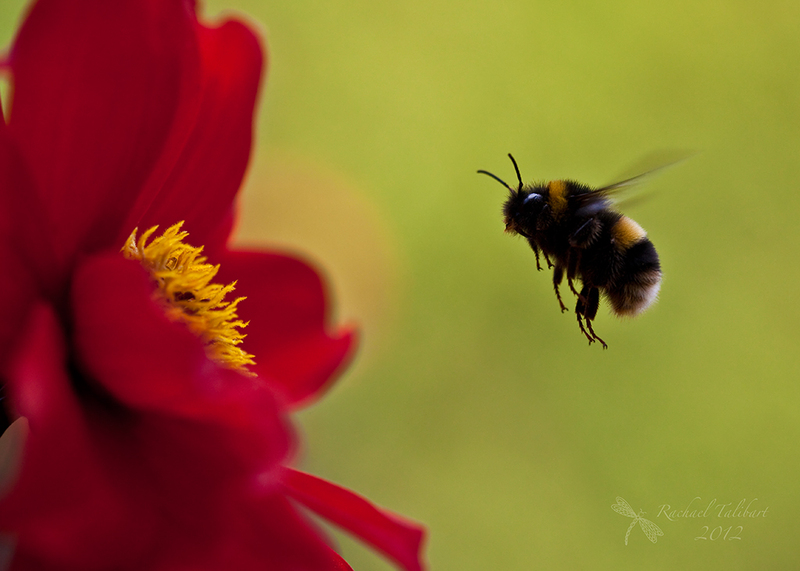 It reminded me of the most important spiritual lesson from bees – to seek the essence. To seek the real thing. To be prepared to travel over field and dale, if the nectar-filled flowers await. Too often we settle for fragrance-free plastic blooms in life. Work, relationships, and recreation that look good on the outside, but give little satisfaction to the heart. It’s something that really resonates with me about the path of bhakti yoga – it is about seeking the essence, regardless of class, creed, gender, or race. According to the ancient scriptures, the practice of singing or repeating the names of God is the essence of all essential activities. Yes indeed. Thank you for lovely post. And all the sudden it becomes clear…once again…what is missing from my sterile western world. The sweetness…the nectar. So as I sit in my cubicle, staring at computer monitors, shuffling mundane emails I will turn up the transcendental music that is playing in my ears just a little louder. As I glance from one monitor to the other, I will pause for a moment to drink in the picture of Radha & Krsna that rests between them. Such a timely post for me….thank you. I agree. Seeking the sweetest nectar means looking within, and not settling for appearances.